These are before & after photos of Bob's hair replacement procedure. 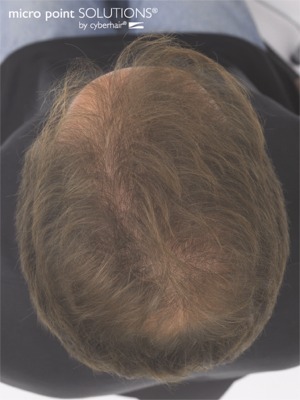 Non surgical hair transplant. Micropoint solutions. 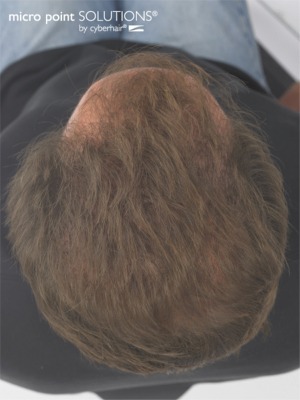 This Non surgical hair replacement procedure is offered in a private hair replacement facility in Portland Oregon where you as a patient can sit back in a private room relax enjoy a beverage, watch your sports show if you choose. Or just easy listening music, while four hairs at a time are being tied at the base at one of yours.. Yes that is correct. When you leave you will have instant gratification! Its looks as if The new hair its growing right out of you scalp! No Waiting for all of these foams and pills and no more messy bonding agents toupees ect.. This is what you have been looking for and not even your mother will know. It just takes a consultation to determine if you are a candidate .